We’d love your help. 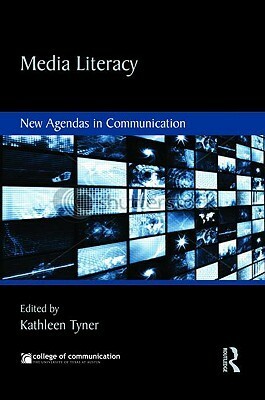 Let us know what’s wrong with this preview of Media Literacy by Kathleen Tyner. This volume explores how educators can leverage student proficiency with new literacies for learning in formal and informal educational environments. It also investigates critical literacy practices that can best respond to the proliferation of new media in society. What sorts of media education are needed to deal with the rapid influx of intellectual and communication res This volume explores how educators can leverage student proficiency with new literacies for learning in formal and informal educational environments. It also investigates critical literacy practices that can best respond to the proliferation of new media in society. What sorts of media education are needed to deal with the rapid influx of intellectual and communication resources and how are media professionals, educational theorists, and literacy scholars helping youth understand the possibilities inherent in such an era? To ask other readers questions about Media Literacy, please sign up.